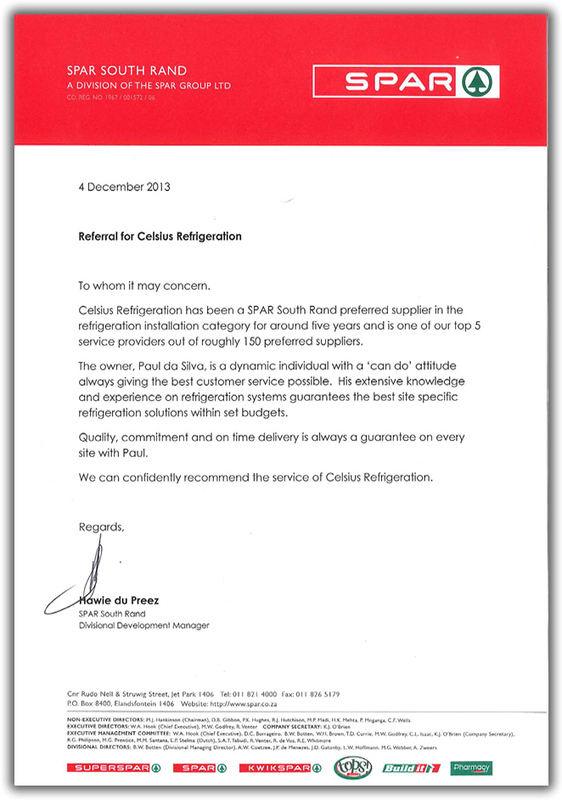 Celcius Refrigeration is one of the TOP 8 SPAR Preferred Suppliers - November 2013. 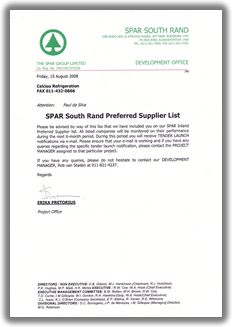 Click to download our supplier referral letters. 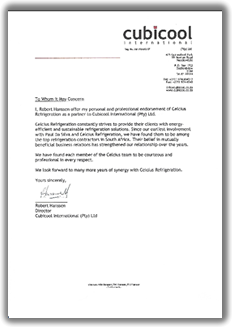 Click to download our client testimonials. 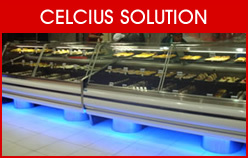 I have used the services of Celcius Refrigeration since July 2013 for all our refrigeration requirements, including technical repairs and maintenance and a full cosmetic revamp of the shop floor equipment. 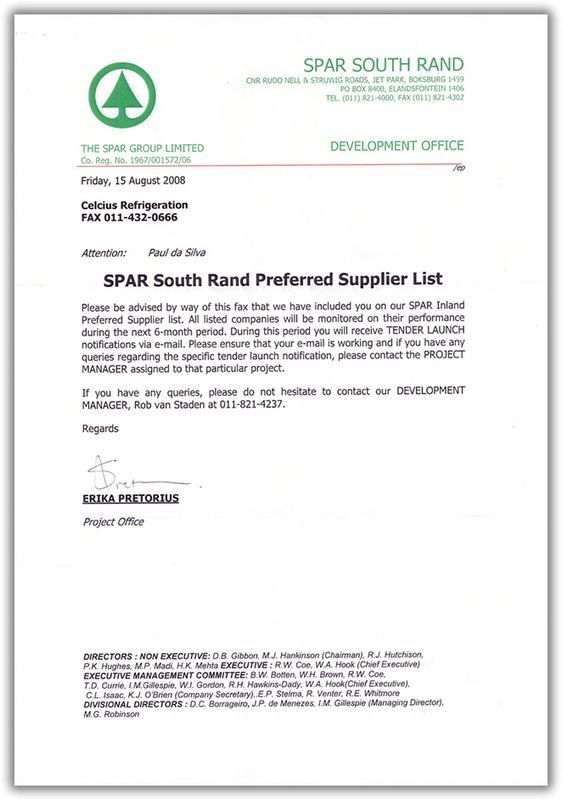 The people who I engaged with primarily were CEO Paul da Silva who personally supervised the revamp, his assistant Lily Rocha, Technical Head Eric Badenhorst and Technician Kevin Hard. 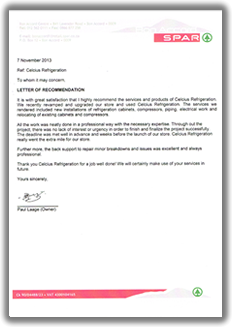 I have found the service of Celcius Refrigeration, and each of the aforementioned persons in particular, to be of exceptional quality and would highly recommend them to any company requiring refrigeration services. 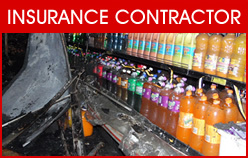 Their workmanship has been of a very high standard and they have demonstrated professionalism at all times in their dealings with us. 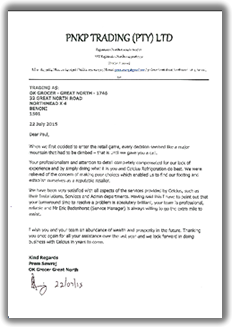 Please feel free to contact me should you wish to confirm this reference telephonically. 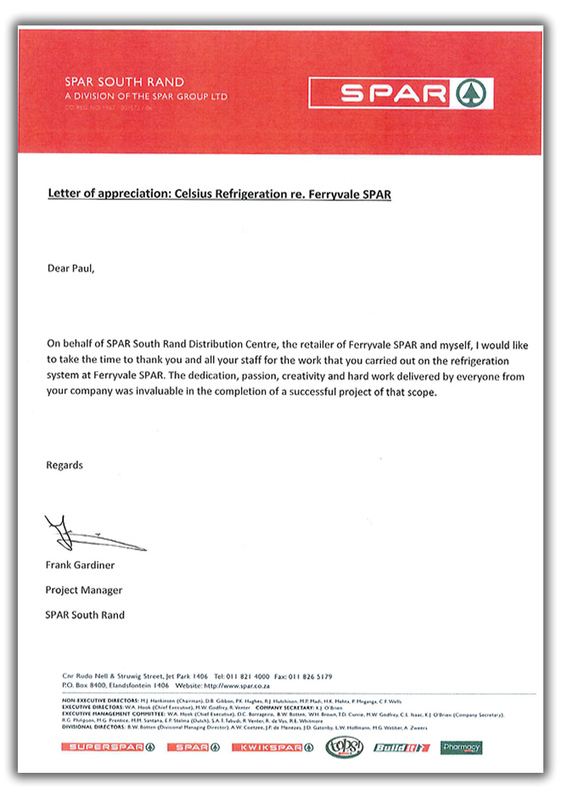 Paul, to you and your team, thank you for the outstanding work that you have done and the professional manner in which it was done. 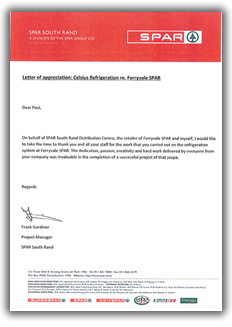 You installation is making an enormous difference and contribution to our store. 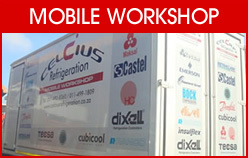 You company's services are highly recommended and I'm definately sure we will engage in future business with Celcius. 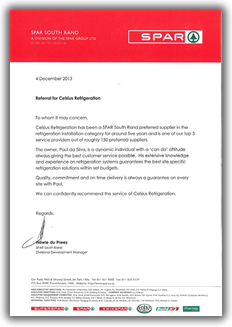 I find that it is necessary for me to draft this letter in lieu of the excellent service, assistance and continued support that I have received from the Celcius Refrigeration team in all the installations that they have done for me and my group. 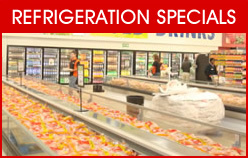 Our flagship store is Rustenburg Square Superspar and we have also the following stores that Mike Breckle and Paul De Silva have done the refrigeration for; Alex Superspar, Sebokeng Superspar, Bloed Street Superspar, Tsakane Superspar, Limpopo Spar and City Centre Superspar, Tops @ Sebokeng, Tops @ Limpopo and Tops @ Tsakane. 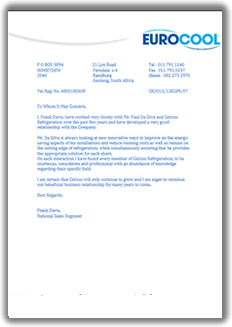 Working with Mike on the different sites has been a very fruitful and learning experience. 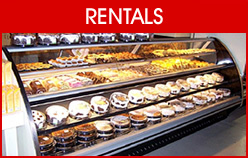 Mike is a very well organized and systematic person who will always bend backwards to assist the situation and ensure that your commitments as a retailer are met at any cost. 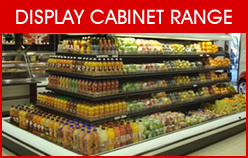 I have installed through Mike refurbished cabinets that are no different to the absolutely new one’s that we have also installed. He has supplied and installed all my Hot Units as well. 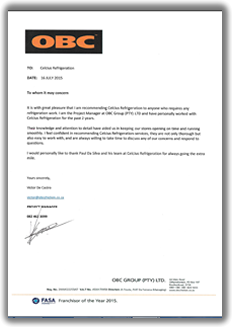 I would like to stress that as we carried on through the projects Mike and his team has continued to better his game with more efficient systems and quality of cabinets and this is just getting better all the time. 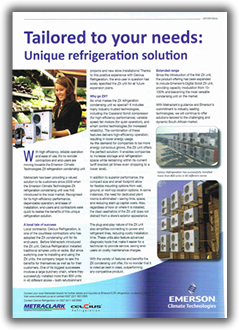 This tells me one thing, and that is Mike is a very innovative, professional and very focused on the ever growing demand for energy saving systems in refrigeration.